Turkey’s central bank has said it is ready to take “all necessary measures” to ensure financial stability after the collapse of the lira. It has vowed to provide banks with “all the liquidity the banks need”. The comments came after a widening diplomatic spat with the US prompted market turmoil in the country. Investors were not reassured. Although the lira rose slightly, it still hit a new record low against the dollar and stock markets in Europe and Asia fell. Before the announcement the lira was down 9% before recovering slightly to be 6% lower in late morning trading in Turkey. Turkey’s interior ministry said it was taking legal action against 346 social media accounts it claimed had posted comments about the weakening lira “in a provocative way”. Turkey’s currency dropped again Monday as the country wrestled with a crisis that has rattled markets around the world. The Turkish lira plunged as much as 11% against the dollar, hitting a record low, before recovering some of its losses in volatile trading. 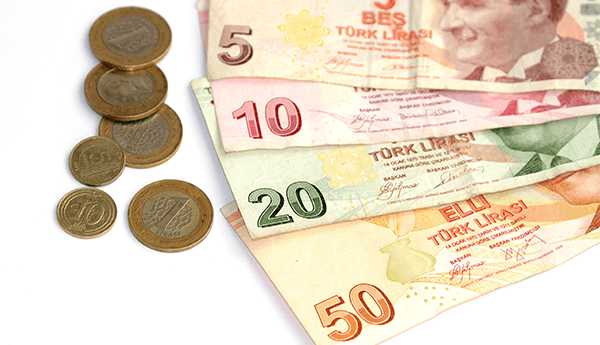 The lira had already plummeted more than 20% last week as a political clash with the United States intensified and investors fretted about the Turkish government’s lack of action to tackle the problems plaguing its economy. The lira’s tailspin has unsettled global markets, with shares of European banks coming under particular pressure because of concerns over the lenders’ exposure to Turkey. The jitters have also hit the currencies of other major emerging markets, such as South Africa and India.